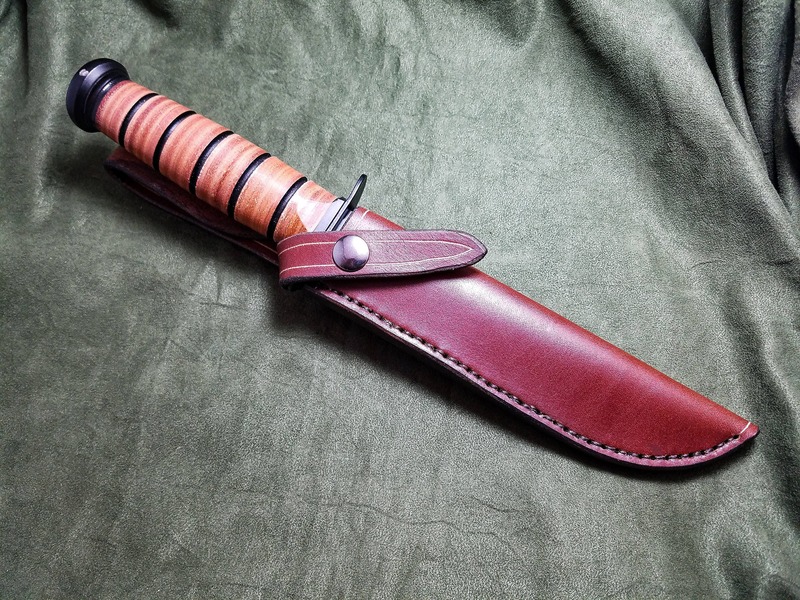 This is a handmade leather sheath for a full size KA-Bar fighting knife. Each Sheath is made out of 8-10 ounce latigo cowhide, and features a vertical carry strap, and a snap closure for the grip of the knife. If the "natural" color is chosen, the sheath will be made out of 8-10 ounce vegetable tanned cowhide. 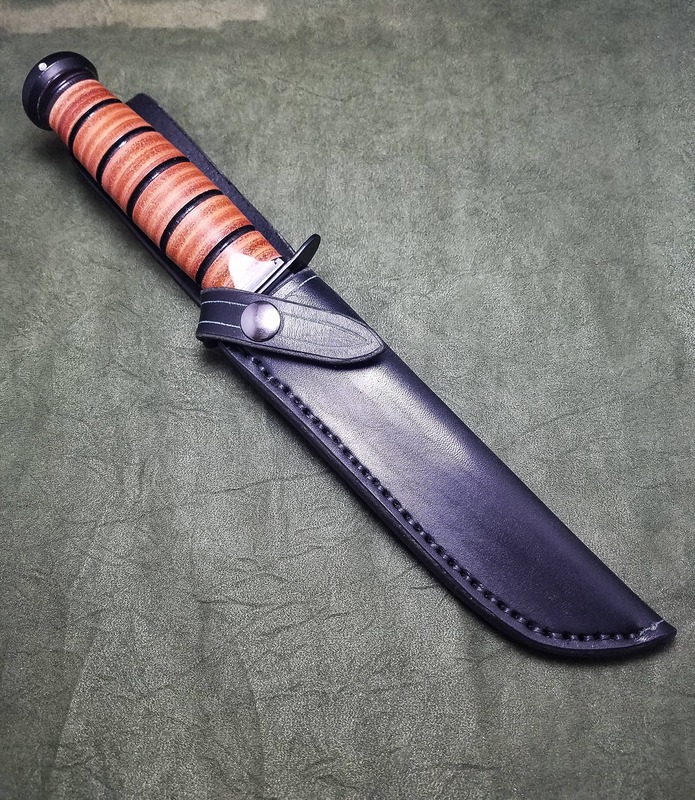 Glad i decided to order this sheath for my Ka-Bar, well worth the wait. The sheath that came with my Ka-Bar was kinda junk and I immediately started looking at leather sheathes. 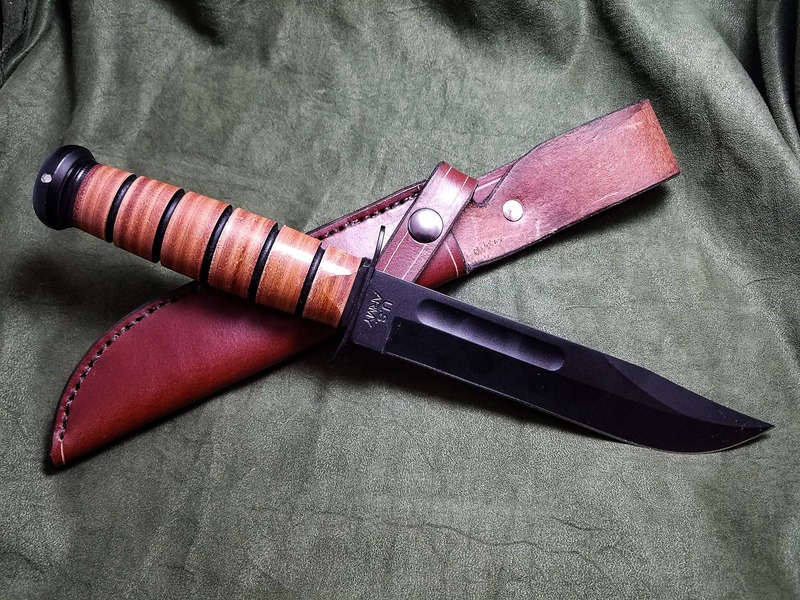 I use my knife almost daily and the sheath makes it a lot easier to use, because i dont have to fight with it to get it in and out of the sheath.